Majesty jeans, Lys Majesty. 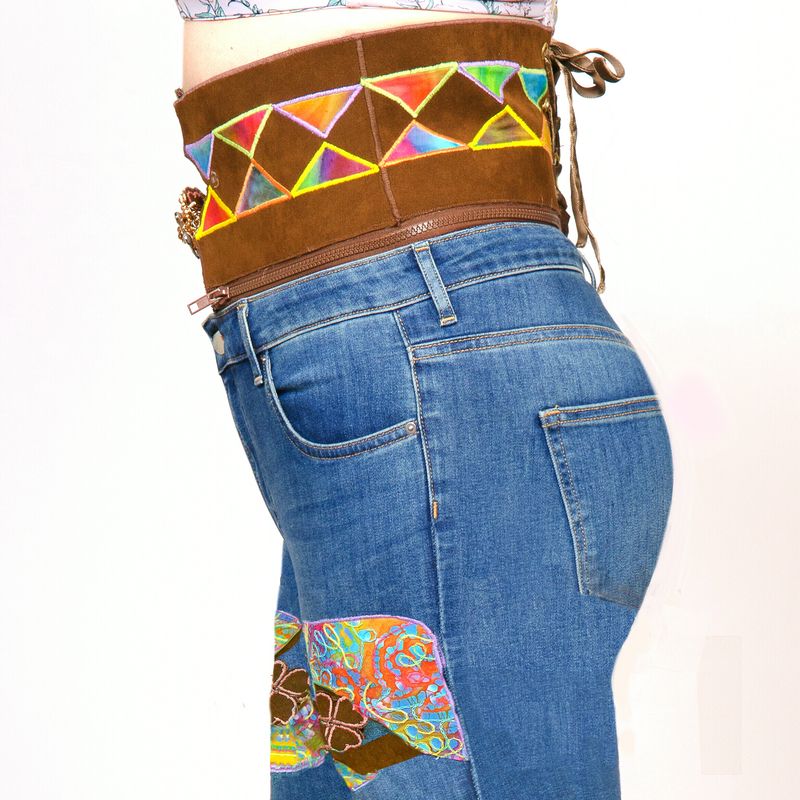 Beautiful and very refined jeans, with this jeans you are a truly elegant and unique woman! 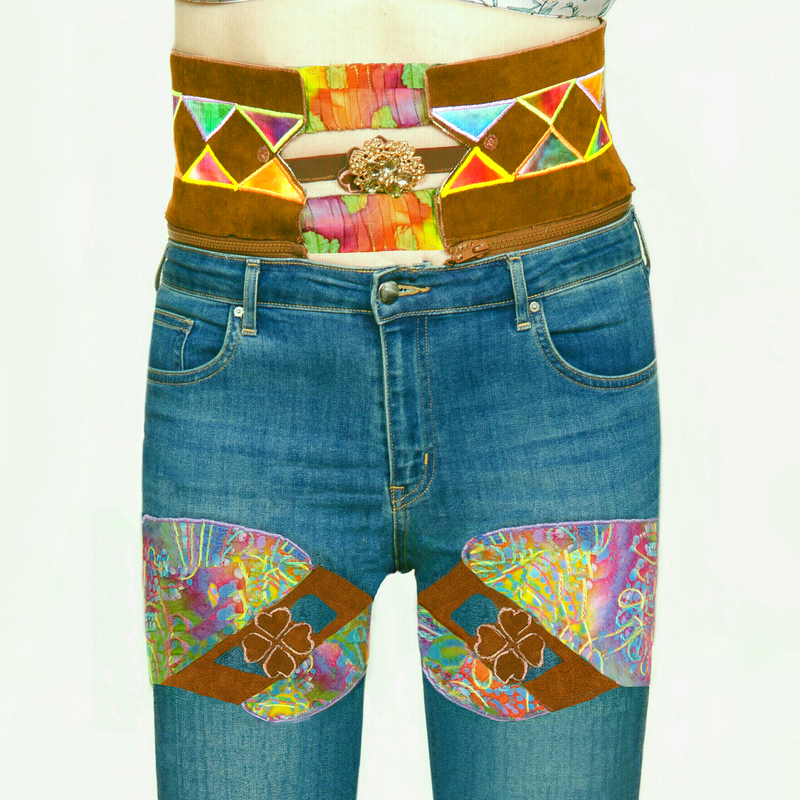 Blue high-waisted jeans with a brown imitation suede corset belt, zipper at the waist of the trousers, with belt in a fabric of several bright colors and attaching in front with a small belt with a clover imitation in the middle suede, (possibility of spit supplied with, for a fee). 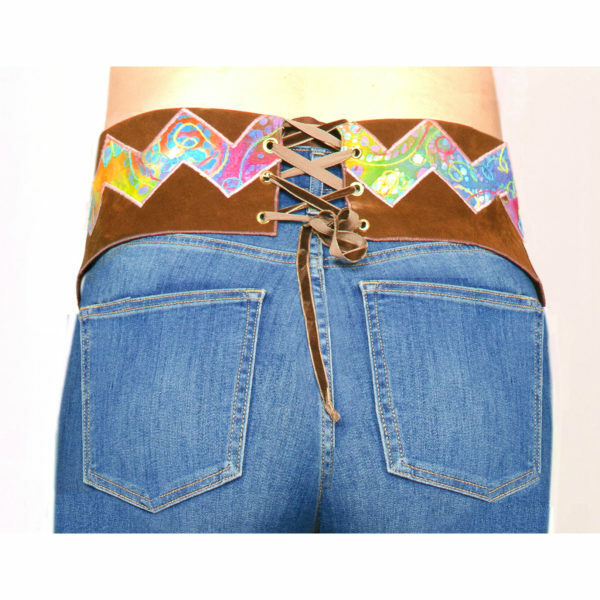 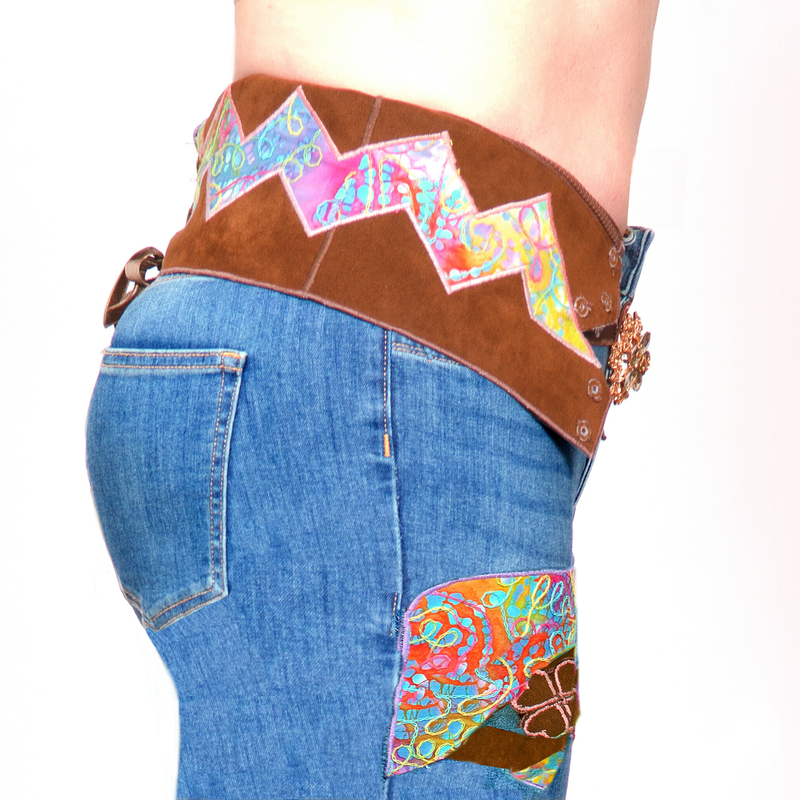 We can raise the belt that turns into a corset with diamonds of several bright colors embroidered in the corset, fastening in front with 2 beautiful elastic bands in fabric, and a brown elastic band with a clover imitation suede in the middle. Corset also attached behind with velvet ribbons passing in golden carnations embedded in the belt brown corset imitation suede. 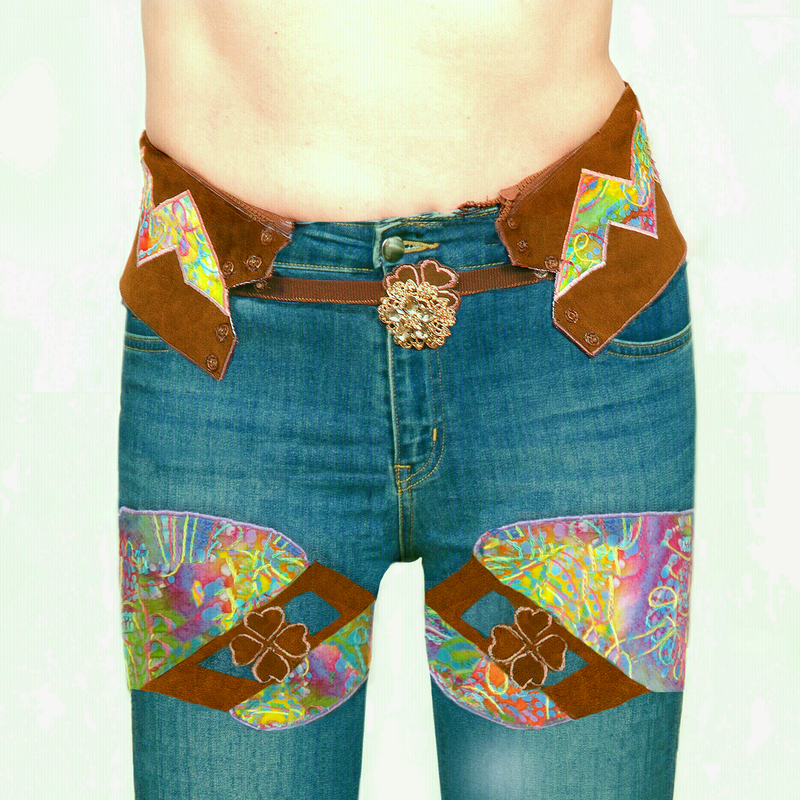 Pants with different patterns in fabric of several colors interspersed with imitation suede strips forming a kind of rectangle with a brown clover imitation suede in the middle. In pantyhose a fabric with bright colors surrounding the underside of each calf, highlighting, thus its curve, for beautiful forms and going up on each side of the leg.